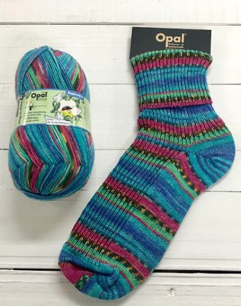 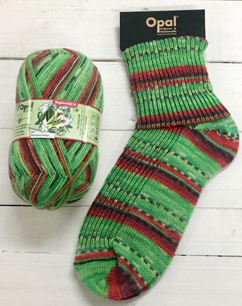 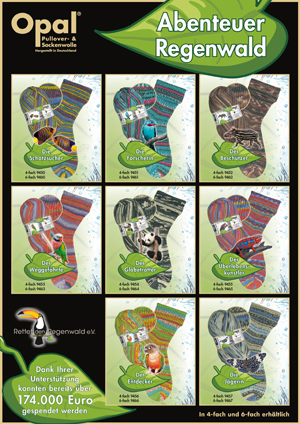 Opal Rainforest 4 ply sock yarns are limited edition self patterning sock knitting ranges inspired by the Rainforest and Opal donate a portion of the proceeds - just in Rainforest 14. 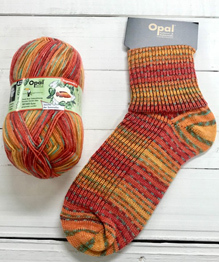 All Opal 4 ply sock knitting yarns have a hard wearing, machine washable blend of 75% wool and 25% polyamide. 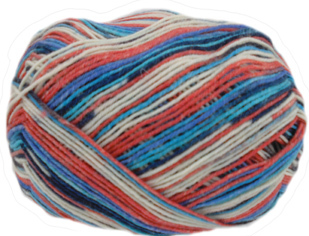 Suggested needle size 2.5mm. 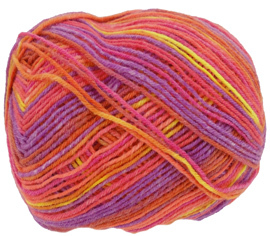 100g. 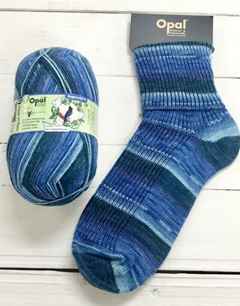 425m. 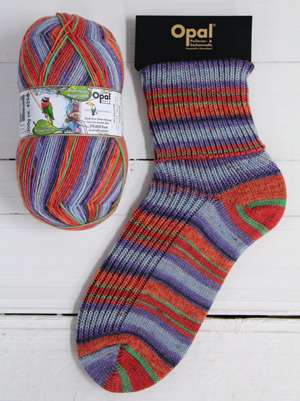 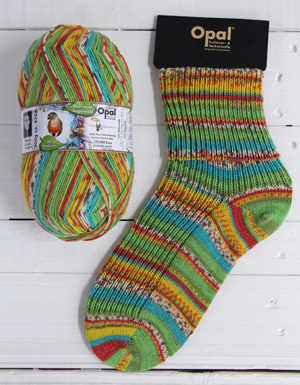 One ball of Opal 4 ply sock yarn will make a pair of socks for an average sized adult. 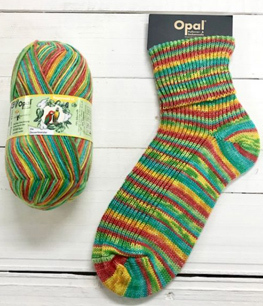 Opal sock yarn 9453, The Departed, from the Rainforest 13 range is a 4 ply sock knitting yarn that self patterns as you knit. 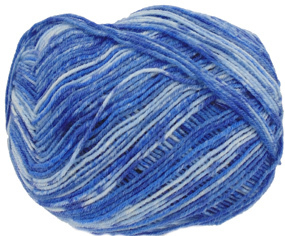 100g. 425m.